A 27-acre expansion of Arlington National Cemetery opened yesterday in Arlington, Virginia, with a ceremonial burial for two unknown Union soldiers from the Civil War. 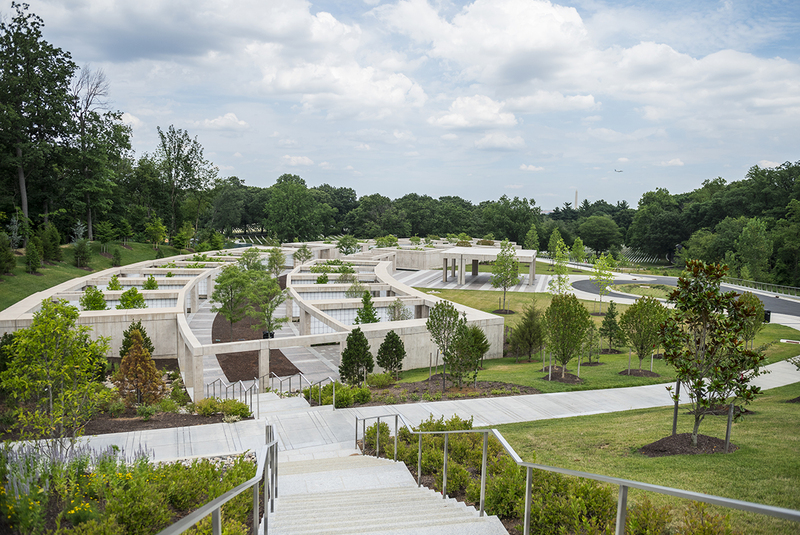 The $87-million addition, designed by landscape firm Sasaki, design architect Beyer Blinder Belle, and Jacobs Engineering, added 27,282 interment spaces to the cemetery, including 6,000 pre-dug graves and 16,000 niche wall burial spaces for cremated remains, according to Military Times. The development, dubbed the Millennium Project, began nearly two decades ago when the cemetery announced it would likely run out of space to bury the nation’s veterans by 2040. 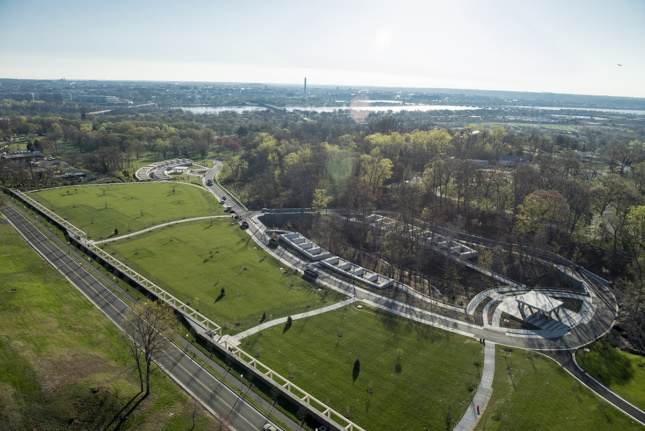 Currently housing over 400,000 gravesites, Arlington only has about 100,000 spaces left, even after the addition, but the new land will extend the 154-year-old cemetery’s lifespan by 10 years. Construction on the project began in 2014 just above the northwestern part of Arlington’s current plot. The new section takes over land formerly used as a recreation spot for a nearby military base, the cemetery’s construction staging area, and woodlands owned by the National Park Service. The Millenium Project is the first time in 40 years the site has undergone any significant additions, and it won’t be the last. By 2025, another project called the “Southern Expansion” will add 37 acres of land to Arlington, taking over the location of the demolished Navy Annex building. Both projects will provide new, space-saving opportunities for the cemetery. The new addition features pre-placed concrete grave liners that ease grave openings and prevent major amounts of on-site excavation. They boast only a 3-by-8-foot footprint compared to the 5-by-10-foot footprints found throughout the rest of Arlington, wrote Military Times. Shelters made of granite and concrete were also constructed for the expansion, along with new walkways, stainless-steel step railings, and stone gardens. 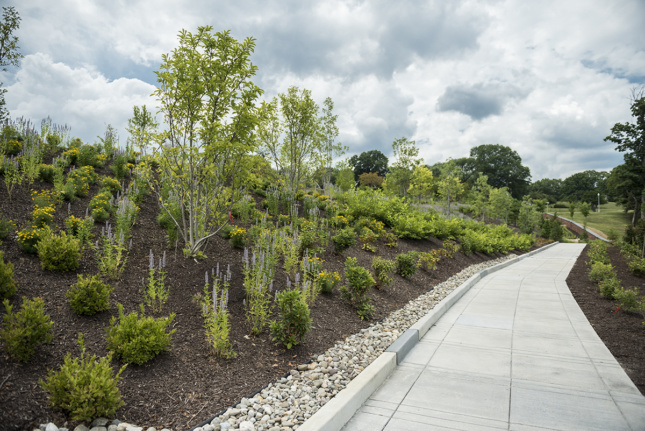 The landscape additionally features new trees, plantings, and shrubs native to the region. Beyer Blinder Belle cemetery Sasaki Associates Washington, D.C.